Type AJA | TROX Malaysia Sdn Bhd. Jet nozzles are used for preference where the supply air from the diffuser has to travel a large distance to the occupied zone. This is the case in large rooms (halls, assembly rooms etc. 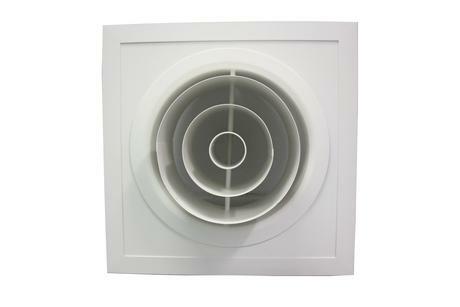 ), particularly when the supply via ceiling diffusers is not possible or not practical. Here jet nozzles are arranged in the side wall areas. When the temperature difference between the supply air and the room air changes, the air stream is deflected upwards, (for warm air) or downwards (for cold air). Trox jet nozzles are designed so that they can be adjusted to meet requirements for use in heating or cooling situations. Jet nozzles are designed for handling large air volumes and long throws making them ideal for buildings with high ceilings such as Airport Terminal Buildings, Hotel reception areas, Shopping Arcades, Museums, Sports Centers and Departmental Stores.